CMCS is the leading Portfolio, Program and Project Management Information System (P3MIS) solution provider in the Middle East combining deep industry knowledge, unmatched track record in delivering PMWeb and Oracle Primavera solutions, internationally accredited project management training and disciplined project and risk management practices. CMCS provides integrated, 360°, sustainable, quality Portfolio, Program and Project Management Information System (P3MIS) solutions helping capital-intensive organizations in the Engineering and Construction, Infrastructure, Oil and Gas, Power and Energy and Public Sectors to transform every-day data into valuable source of knowledge to visualize, analyze, predict and share a single version of the truth of projects’ status, health and performance. Assess by analyzing clients project management information system (P3MIS) improvement needs. Standardize by developing P3MIS operating procedures based on industry best practices. Implement by automating project management BIG DATA capturing, analysis, auditing and visualization. Train by delivering internationally recognized professional certification training programs to align P3MIS with projects delivery. Support by offering after-go-live array of services to optimize P3MIS operations and on-going improvements. 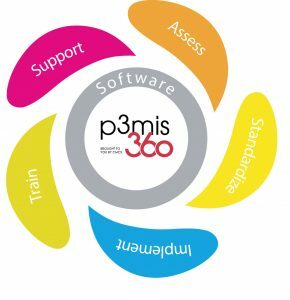 Sell, install, configure, integrate and provide after-sale support for world-leading P3MIS Software applications. Over the past 30 years, CMCS has served more than 2,500 clients in 40 countries in the Middle East, Asia, Europe, Africa and the Americas attaining more than 55 performance achievement awards. Just in the past ten years, CMCS has completed more than 3,600 project assignments and delivered more than 5,500 days of professional project management training attended by more than 14,000 professionals. Today, CMCS has offices in UAE, Saudi Arabia, Qatar, Kuwait, Bahrain, Oman, Egypt, Jordan and India.